If you follow my Instagram and Snapchat account you probably saw that last weekend I took part in the best party ever! 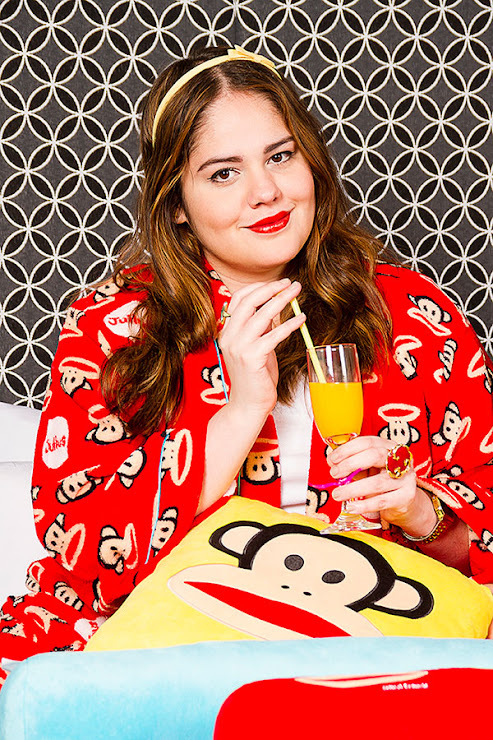 Pajama Party by Paul Frank Colombia took place in W Hotel and was absolutely amazing! 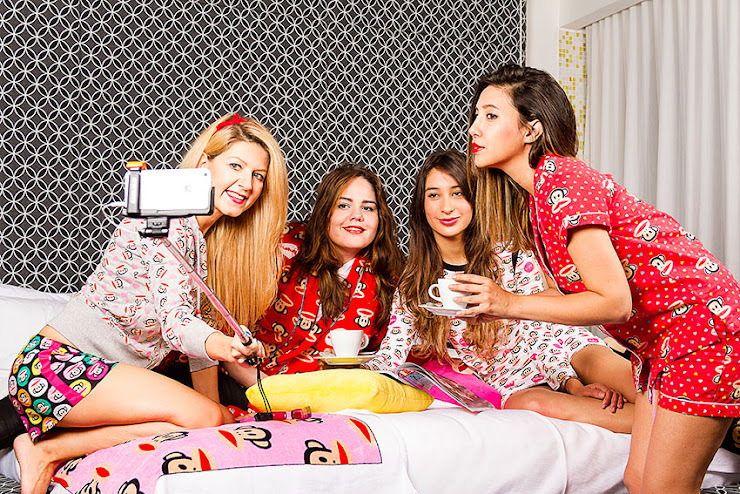 With another Colombian fashion bloggers Camila, Ita and Adri we organised girls party in pajamas from last Paul Frank sleepwear collection. 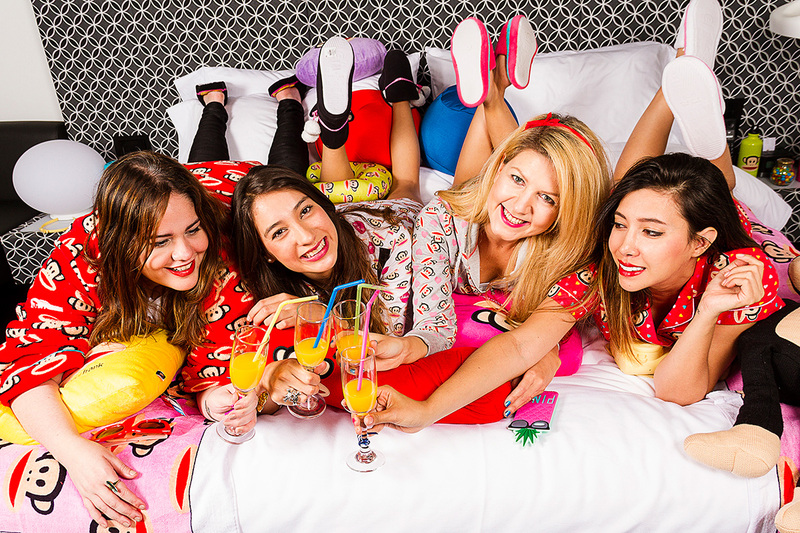 Sincerely it was every girls dreamy bedroom party: full of color, candys, mimosas with cool music and adorable pajamas outfits for all of us! Such a fun! For this of you, who don’t know Paul Frank clothing, just check their famous logo with monkey, I’m sure you have seen it at least once. This brand was created in USA in 1997 and since than is known for its bright color palette and positive unique designs inspired in pop culture, music, art and architecture. It’s all about joy and positive expression.Hope you enjoy our pictures! Si sigues mi Instagram y cuenta de snapchat (agasuitcase) probablemente viste que la semana pasada participé en la mejor fiesta ever! Pijamas Party de Paul Frank Colombia tuvo lugar en Hotel W Bogota y fue absolutamente increíble! Con otros blogueras de moda colombianas Cami, Ita y Adri organizamos una pijamada con los outfits de la última colección de Paul Frank. Sinceramente era lo que cada niña sueña: mucha diversión en piso lleno de color, dulces, mimosas con buena música y adorables pijamas para todos! Jeśli sledzicie mój instagram i snapchat (agasuitcase) pewnie widzialyscieł, że w ostatni weekend brałam udział w najlepszej imprezie roku! Impreza w pizamach z Paul Frank odbyła się w Hotelu W Bogota i była absolutnie odjazdowa! Razem z innymi kolumbijskimi blogerkami mody Cami, Ita i Adri zorganizowaliśmy imprezę piżamowa z ostatnia kolekcja marki. Sypialnia wygladala jak z bajki: pełna kolorów, cukierkçow, mimozy, doskonalej muzyki i czego tylko dusza zapragnie! 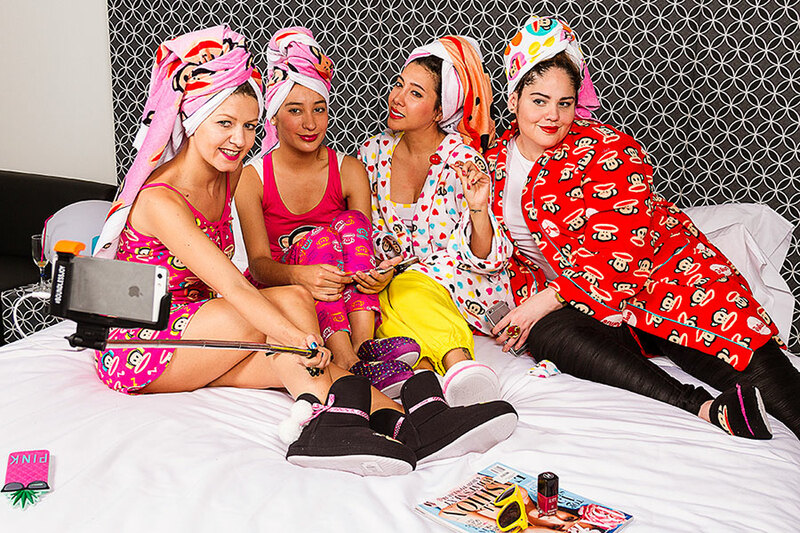 Unas fotos super divertidas, en las que tú te ves realmente encantadora con tus looks y posturas. I am such a big fan of that little monkey face! How fun! I just love Paul Frank. You guys look so great.